This is a joint giveaway with Fine and Fair and Natural Parents Network. You may enter at one site only. Please find the section marked “Win it!” for the mandatory entry and optional bonus entries. Complimentary products and consideration were given for review. Fuchs Toothbrushes and Eco-Dent are offering our readers a giveaway of a Dental Care Package, a value of $27. This package includes a Fuchs Toothbrushes Nylon Bristle Medoral Jr. Child’s toothbrush ($3.25), a 2 oz. 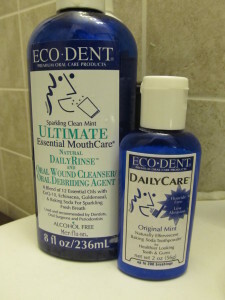 Bottle of Eco-Dent DailyCare Original Mint Toothpowder ($7.79), Eco-Dent Premium Dental Floss Mint Travel size (40 yds.) of GentleFloss ($3.79), Eco-Dent Between! Cool Mint Dental Gum ($1.99), and an 8 oz. bottle of Eco-Dent Ultimate Daily Rinse in Sparkling Clean Mint ($9.89). 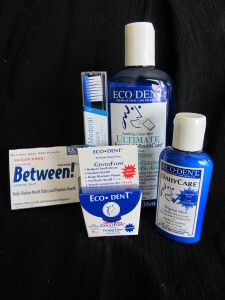 Eco-Dent offers a comprehensive line of high-quality natural oral care products. Fuchs Toothbrushes are available in a range of types and sizes to meet the unique and changing dental needs of all ages, toddler to senior. Eco-Dent premium natural dental care products and Fuchs Toothbrushes can be purchased online at Lotus Brands Inc. and a variety of other online retailers, and are available at many natural food stores locally. When I opened the dental care package, the first item I pulled out was the Jr. Child’s Toothbrush. The tooth brush is perfectly sized for my 3-year-old daughter’s hands and mouth, and the bristles are soft and gentle. The simple glittery blue color is gender neutral, and I love having a child-sized toothbrush free of licensed characters. My daughter loves brushing with her new toothbrush and grabs it several times throughout the day for a “pretend” brushing session! The GentleFloss is another big hit with child and parent alike! I love that the floss is vegan, and that the cardboard packaging is recyclable. The floss itself is smooth and glides between teeth so easily that my daughter can floss with it without assistance. The remaining items in the dental care package got mixed reviews in my home, but personally, I like all of them! The fluoride-free DailyCare Toothpowder is used in place of toothpaste, and I love the way it bubbles and fizzes in my mouth! It leaves my mouth feeling fresh and clean, and doesn’t irritate my sensitive teeth. A little goes a long way, and while I was skeptical at first of the “Up to 200 Brushings” claim on the tiny bottle, I am a believer after seeing how little of the powder is gone after using it exclusively for several weeks now. The mint flavor is very subtle, and the overall flavor may take some getting used to for those who aren’t accustomed to baking soda-based dental care products. My husband didn’t care for the flavor at first, but after our toothpaste ran out, he has been using the powder without complaint and hasn’t picked up more toothpaste despite several runs to the store. My 3-year-old tried the toothpowder but wasn’t able to get past the taste. I plan to try sprinkling a bit onto her regular children’s toothpaste to see if I can ease her into accepting the toothpowder on its own. 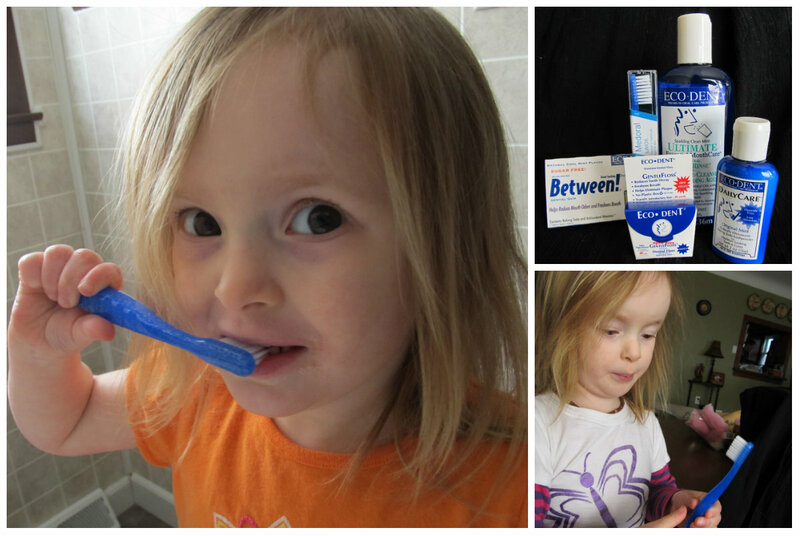 Like the Toothpowder, the Beetween! Cool Mint gum has a very subtle mint flavor and might take some getting used to if the baking soda taste is new to you. The gum is very effective at freshening my mouth and breath between meals and brushings, and is something I appreciate having in my purse or diaper bag so I can freshen my mouth quickly when brushing is inconvenient. Finally, the Ultimate Daily Rinse offers the most noticeable mint flavor, and like the other products, leaves my mouth feeling very fresh and clean. The alcohol-free rinse is quite strong, and has a mouth feel similar to that of Listerine or other oral rinses. I found it necessary to do a quick swish with water after using the rinse, and also found that the rinse was slightly irritating to the areas of my mouth with more sensitive teeth. Despite those minor drawbacks, the rinse is certainly refreshing and leaves me with beautiful breath! Overall, I can confidently recommend all of the products in this dental care package. They are clearly high-quality, natural products and provide an effective and comprehensive routine for cleaning, refreshing, and caring for teeth, gums, and overall oral health. You can purchase your own Fuchs Toothbrushes and Eco-Dent products at Lotus Brands Inc.. The Fuchs Toothbrushes Nylon Bristle Medoral Jr. Child’s toothbrush is available for $3.25, the 2 oz. Bottle of Eco-Dent DailyCare Original Mint Toothpowder for $7.79, Eco-Dent Premium Dental Floss Mint Travel size (40 yds.) GentleFloss for $3.79, Eco-Dent Between! Cool Mint Dental Gum for $1.99, and 8 oz. bottle of Eco-Dent Ultimate Daily Rinse-Sparkling Clean Mint for $9.89. Prices do not include shipping, which is free on orders over $50. The Lotus Brands Mall offers a variety of natural product lines, from incense to soap, cleaning products to home décor, and everything in between! For your own chance to win a Dental Care Package from Fuchs Toothbrushes and Eco-Dent, enter by leaving a comment and using our Rafflecopter system below. 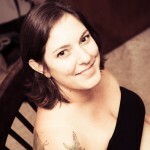 The winner will receive a dental care package valued at $27. Contest is open to the US. MANDATORY ENTRY: Simply leave your name and email address in the Rafflecopter entry system. Leave a valid email address so we can contact you if you win. Email addresses in Rafflecopter are not made publicly visible. Please leave the same valid email address in any bonus comments so we can verify entries. No purchase necessary. Entrants must be age 18 or older and be residents of the countries listed at the giveaway post. The number of eligible entries received determines the odds of winning. Winner(s) agrees to hold Natural Parents Network and the giveaway hosts harmless for any problem with receipt and/or use of prize. Winner must contact the product seller or manufacturer directly if there is any problem with the prize or prize delivery. Winners are responsible for any taxes or customs fees related to prize winnings. NPN and the giveaway hosts reserve the right to publicize the winner’s first name. Void where prohibited by law. Contest closes June 15, 2013, at 11:59 p.m. Eastern Time. and consideration was given to NPN for hosting the review/giveaway. Links may be affiliate links. Amazon links are affiliate links. VOTE before 11:59pm on Sunday, June 2 in our Flickr Contest! I have not heard of inter natural before and was very happy to see wide selection of products that they offer, at reasonable prices! I will certainly be visiting them in the future. I have a reluctant brusher for a toddler so winning this giveaway would be great!